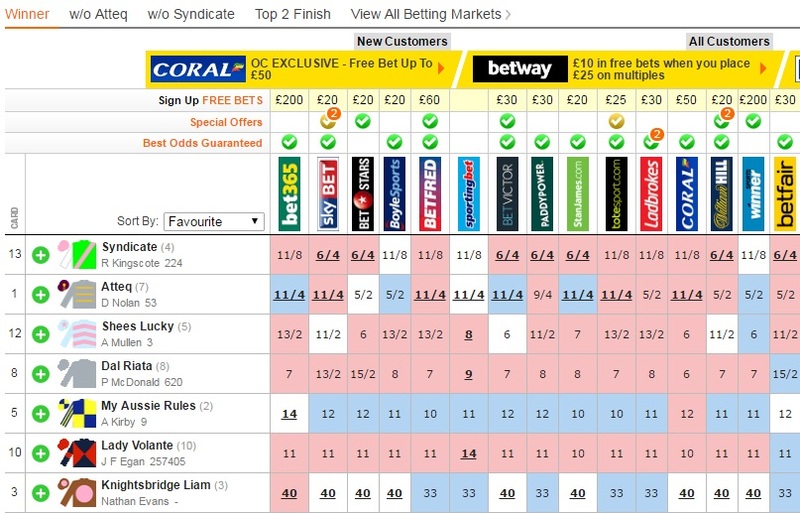 Odds can vary greatly between bookmakers and our tables highlight the best odds in bold. Taking these odds each time you bet will earn you the most money every time you win. Simply click on the odds you want and you will be taken directly to the bookmaker's website or bet slip. If you do not already have an online account with that bookmaker, you will need to open one. This will involve registering your personal details and depositing money, using a credit or debit card.